The Scoop: Samsung finally released the long-awaited Samsung Galaxy S9 yesterday! What changes can we expect and what makes it familiar? Let’s check it out. Lately, there’s been a huge buzz when it comes to phones that are releasing this year. With the first half of the year starting, news and rumors of new phone models are circulating the internet. The competition for providing the best phones of the year is still ongoing and companies are upping their game to be the one to offer it. On that note, Samsung is the first to release their latest phone models that people have been watching out for this year. Did it keep up with the hype, teasing, and expectation people made for it so far? At the release of a new model, we expect that there will be changes. It would be a bit backward when a new phone is just the same as the previous one. Samsung Galaxy S9 has delivered changes and additional upgrades that certainly made it better than the earlier models. Samsung never kept it to themselves. From the teasers that they showed, their camera is going to be in the limelight for their Samsung Galaxy S9. And it was. Samsung Galaxy S9 is equipped with a 12 megapixels camera while the S9 plus has two. What made their cameras irresistible is the “Dual Aperture” feature although the first camera of the S9 plus has that feature. This makes the camera of the phone adjust to the surrounding just like the human eye is doing. Additionally, it also sports a super slow-mo feature transitioning from a normal speed to a 0.2 speed. You can let the phone start the slow-mo function for you or you can start it yourself. If Siri is to Apple, Bixby is to Samsung. In the S9, Bixby was equipped with more upgrades that can improve how users usually interact with the device. They especially enhanced Bixby in the augmented reality part of the virtual assistant. Bixby can now translate different languages in text by using Google Translate services fast yet accurate. Even though that camera-to-text-to-translate is no new news, what makes Bixby different is it can also translate handwritten foreign languages. Users can now apply digital makeup on themselves with the use of Bixby. It also enables you to purchase real products from Sephora, Cover Girl and more without leaving the app. Another exciting feature that Bixby has is the calorie counter. Using the Bixby Vision on foods, it can estimate how many calories the food has. Although it had trouble with identifying and calculating calories of mixed foods, it should be a small fix over time. AR Emoji is Samsung’s contender to Apple’s Animoji. Instead of animals, Samsung creates animated emojis based on the user’s face. Users can also customize their avatars with a variety of hair and accessory collection as well as generate animated stickers from their digital mini-versions. Samsung Galaxy S9 and S9 plus are ready for pre-order on the 2nd of March and sales will begin on March 16th. US customers will be able to pick from three colors: black, purple, and blue. The color gray will be available internationally and more colors to come later in the year. 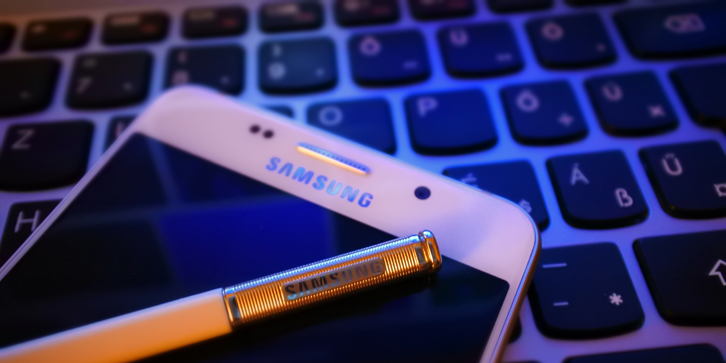 Prices from retailers and wireless carriers vary and the cheapest way you can get is from buying it directly from Samsung. Here are a few of costs for the latest Samsung Galaxy models. Verizon: S9- $800, S9 Plus- $930. Installments: S9- $33.33/month for 24 months, S9 Plus- $38.74/month for 24 months. Trade-in: $100 to $350 off of both the models when buying via installment as long as you trade a working phone that is in good condition. You will be able to avail the $350 off when you trade a Galaxy S8, iPhone 8 or newer. So far, the people have been pleased with the changes as well as the familiarity that Samsung Galaxy S9 gives. Even though the difference is little, they impact the models significantly. A day is not enough to create a sound and reliable impression of it and the scrutiny of the model is still in progress. We will be hearing a lot of thoughts and feedback with regards to this new model sooner or later. In the meantime, what do you think about the latest addition to the Samsung Galaxy series? Check us out for more tech feeds, if you liked this article.